This package contains a commercially rated 12 gallon carpet cleaning extractor with a 100 PSI pump, an air mover, and several different chemicals which we include for FREE. The Trusted Clean ‘Deluxe’ carpet extractor comes with a lifetime warranty on the tanks, and 2 years on parts & labor. This package will provide you about 10 fills on your carpet extractor, which will get you started cleaning. For specialty stains, please take a look at our full line of carpet cleaning chemicals to be ready to attack any stained carpeting or upholstery! 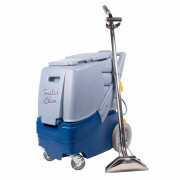 Finally, a truly commercial cold water carpet cleaning machine, at an affordable price! We pulled out all the stops with this machine. It is a non-heated unit, but can clean just like the large truck mounted machines. The 11 gallon solution tank gives you plenty of solution to do several rooms in a residential setting., and it comes standard with 100 PSI, dual vacuum motors, pulling 150" water lift, a 25' vacuum recovery hose, and a 12" single-jet drag wand. There is no extractor on the market that matches the qualities of this machine, at the price we are able to offer it to you for! The Ultimate heated carpet steam cleaner will heat cold water up to 170° F to aid in extracting dirt from soiled carpets. This hot water extractor combines power and a large 12-gallon tank inside a surprisingly compact body that makes it ideal for a single operator. With a 100 PSI pump, dual vacuum motors, and an external heater, this model delivers the ultimate in cleaning. Plus it comes complete with a deluxe dual-jet stainless steel S-bend wand and a 25-foot hose assembly. 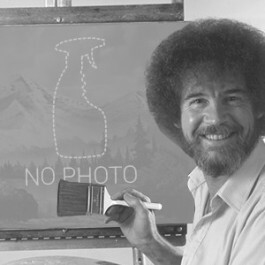 It leaves carpets clean and dry in a record amount of time. With this Mytee carpet extractor, you get a very durable unit that can handle the tough day to day operations of a commercial carpet cleaning professional. A 120 PSI pump and a single 3-stage vac motor powers this unit. It cleans with extreme precision, and can be used to get to those hard to reach areas that truckmounts can't go. Large rear wheels make it easy to get up and down stairs. 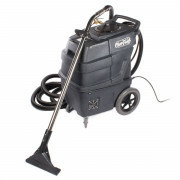 Comes with a 15' hose, 12" dual-jet drag wand and a 1 year warranty on the motor/pump/heater. *Note: Water boils at 212° Fahrenheit, which would be considered steam. No standard carpet cleaning machine will actually achieve that amount of heat. Water that hot will actually harm your carpet over time. Optimum cleaning temperature for carpets is between 150° – 180° F, and the correct term is hot water carpet extraction. 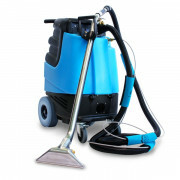 Take a look at our vapor steam cleaning machines if you truly need something that produces steam for cleaning.